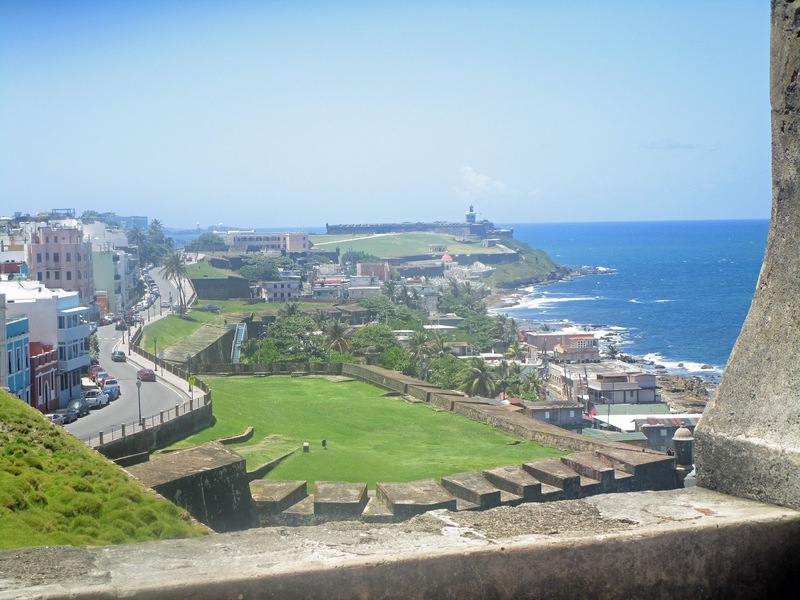 Puerto Rico is known for its beautiful beaches, towering Spanish Forts, charming Old San Juan with its shopping and definitely some of the most amazing beaches in the world. 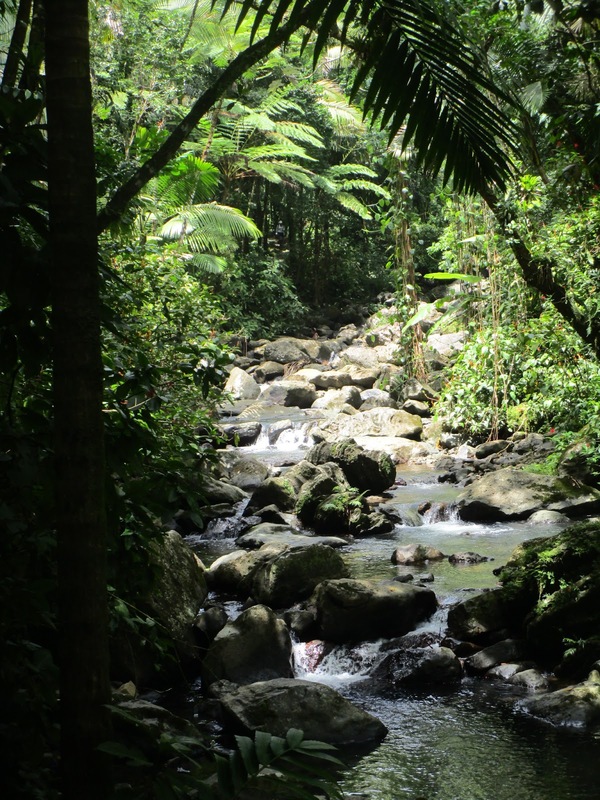 Many visitors never leave San Juan, but only thirty minutes east is the impressive El Yunque rainforest. A total world apart from the white sand beaches so very close. Take a day and get out on an adventure! A simple drive east will get you there. Renting a car is easy and not expensive on the Island. I was impressed with the polite drivers and easy to navigate roads. 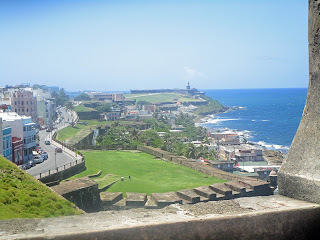 I had read differently, but after some harrowing drives in Peru and Iceland, San Juan was a piece of cake. 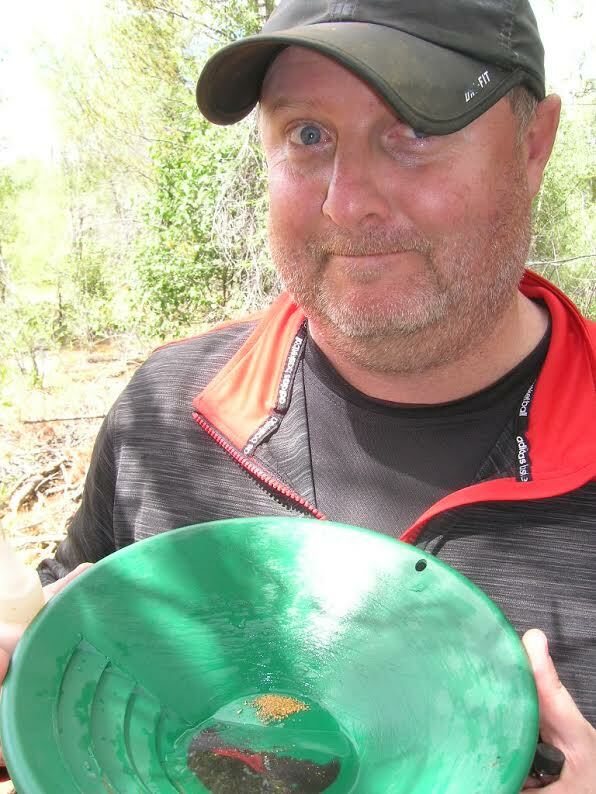 Signage is good once you get in range. 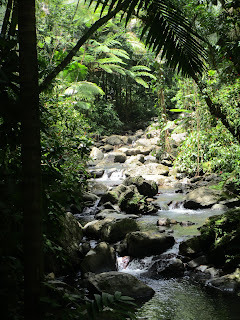 Just be aware and I don't think you will miss El Yunque. The first major landmark you will encounter is the El Portal Visitors Center. Definitely make the stop and give it 30 minutes of your time. There is an interesting movie narrated by Benicio del Torre which will give you the background and history of El Yunque. Then take a look at the displays that show the local wildlife. After you finish with the visitor center head on up into El Yunque on the narrow, winding road. You are truly in the rainforest now! On your right after a short drive will be the beautiful La Coca Falls. You can't miss it. Drive past and there is a parking area so you can hop out and get some pictures. Be careful climbing around on the big rocks! Back in the car and up the mountain you go. 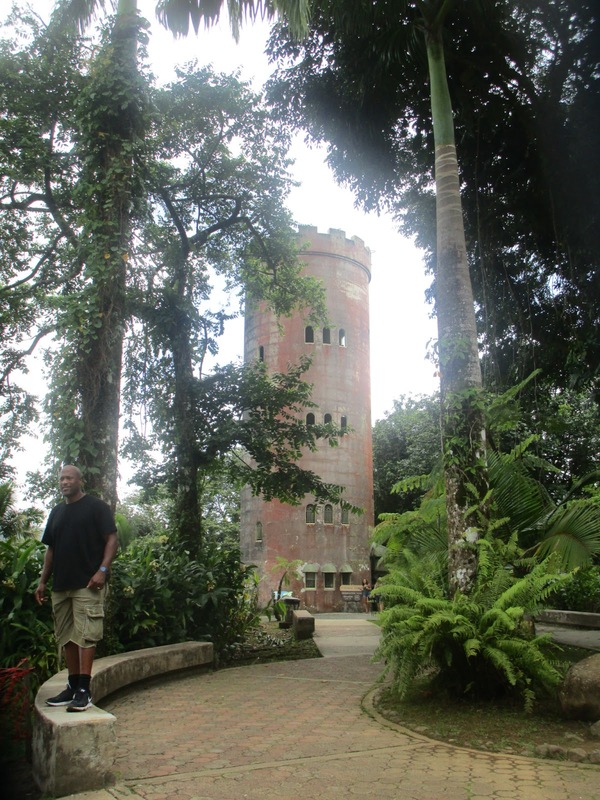 A few minutes later you'll come to the Yokahu Tower. Make the stop and check out the view towards the ocean north. If the view is not obscured by rain or by dust all the way from the Sahara Desert, then make the climb. Panoramic views await if weather is cooperating. 96 steps to the top! You might be thirsty or want a snack by now. No worries. There are a couple of little road side kiosks ahead. Stop and grab a drink or a bite to eat. Then onwards to the main attraction. You definitely want to do the hike to La Mina Waterfall. This is not an easy, beginner level hike I'll warn you. It is not a killer either though. Make sure you bring a swim suit if you want to swim in the pool at the falls. The hike down is nice. 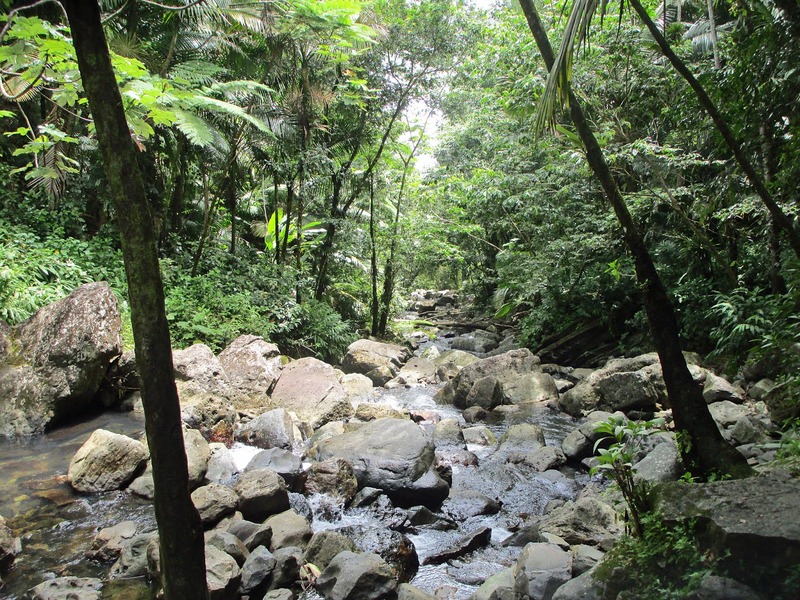 The trail follows the course of the La Mina River downward through tropical trees, shrubs and flowers to the La Mina Waterfall. Along the way the trail crosses the river several times on intimate bridges passing tiny cascades and still pools filled with the chilled mountain water. 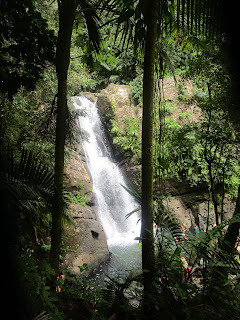 It will take you about twenty minutes down to the La Mina Waterfall. Stop. Swim a little. Take plenty of pictures. Enjoy the being surrounded by total beauty! Then gather yourself for the hike out. It's much more difficult on the way up. There are plenty of other trails and waterfalls in El Yunque for you to explore. Do your research and adventure on! Just be smart. 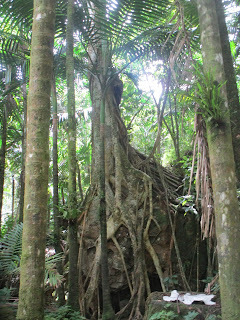 It is a dense rainforest with steep drops. People have wandered off there and never been found. Stick to the trails and you'll be fine, but I would not suggest "freelancing" much here. In all honesty there really is not a huge need for a guide unless you want the history and special expertise. 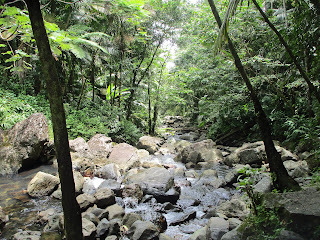 The route from San Juan to El Yunque is simple and there is only a single road past the El Portal Visitor Center and up to the sites I described. Our guide gave us some wonderful plant and tree information but if you are just going for the hike that might not interest you anyway. You can save a chunk of money if you do it on your own. 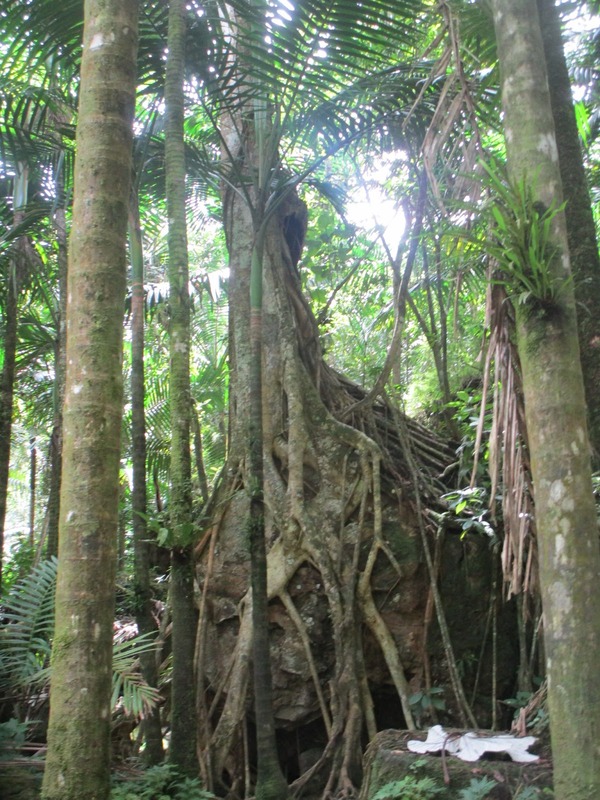 So make your own decision and enjoy your experience in the Puerto Rico rainforest of El Yunque. 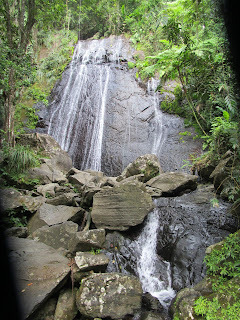 It is a gem of Puerto Rico that should not be missed. Check back for more stories of my Puerto Rico trip as I headed into San Juan, did some wonderful shopping and explored the amazing forts.